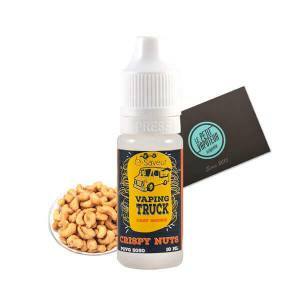 Let yourself be surprised the Vaping Truck E Liquid by proposing Salty Flavours! Los Pollos with Grilled Chicken Flavours, Devil Beef for amateurs of Grilled Meat or even Pizza with Herbs from Provence which will please you. 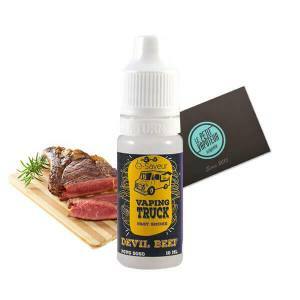 Each Vaping Truck E Liquid is made in France and is available in a 50/50 PG/VG in a 10ml bottle, without Nicotine. 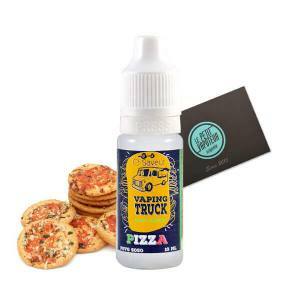 The Vaping Truck E Liquid are under strict regulations guaranteeing good quality. So, have you never been tempted to try a Salty Vape? Now is the moment to please yourself by ordering your Vaping Truck. Are you fond of Salty Recipes? The Vaping Truck E Liquid is for you. Treat yourself with Los Pollos - Roast Chicken, Devil Beef for amateurs of Grilled Beef or even Pizza with herbs from Provence. Each Vaping Truck E Liquid is made in France and disposes of great quality gracious to the respect of regulations in force. Available in 50/50 PG/VG in a 10ml bottle, your Vaping Truck E Liquid will answer to your needs and of course your tastebuds, in search of new and salty recipes.